V.M. 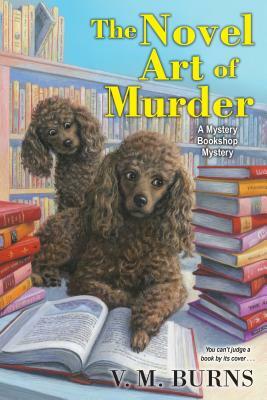 Burns is the acclaimed author of screenplays, children’s books, and cozy mysteries, including the Dog Club Mysteries, the RJ Franklin Mysteries, and the Mystery Bookshop Series. Born and raised in South Bend, Indiana, V.M. Burns currently resides in Tennessee with her poodles. She is a member of Mystery Writers of America, Dog Writers Association of America, Thriller Writers International, and a lifetime member of Sisters in Crime. She can be found online at www.VMBurns.com.